This particular installation located in Denver Colorado was custom manufactured by our German supplier. 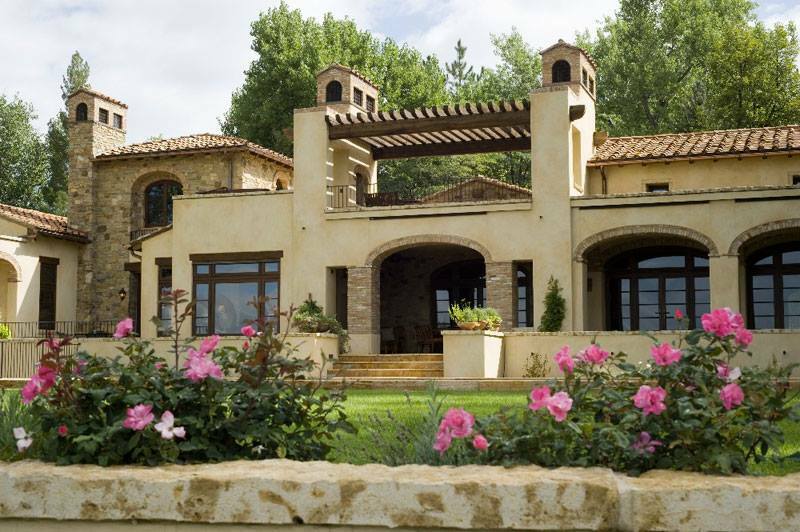 The windows and doors throughout this custom mediterranean style home consists of distressed white oak on both the interior as well as the exterior and finished with Zobel’s dark walnut stained finish. An additional and unique feature integrated into the design of the windows is a custom retractable screen system that was built-in to all of the outswing operable window units. The concept behind this unique screen design is to insure the integraty of the withe oak interiors. Due to their sizes, and for shipping convenience, many of these units had to be assembled and glazed in the field and was done so by our experienced and professional installers. 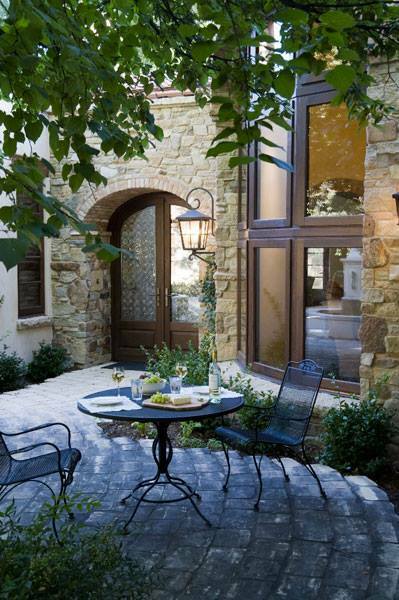 Custom Entry Door with 10′ tall bowed window wall. 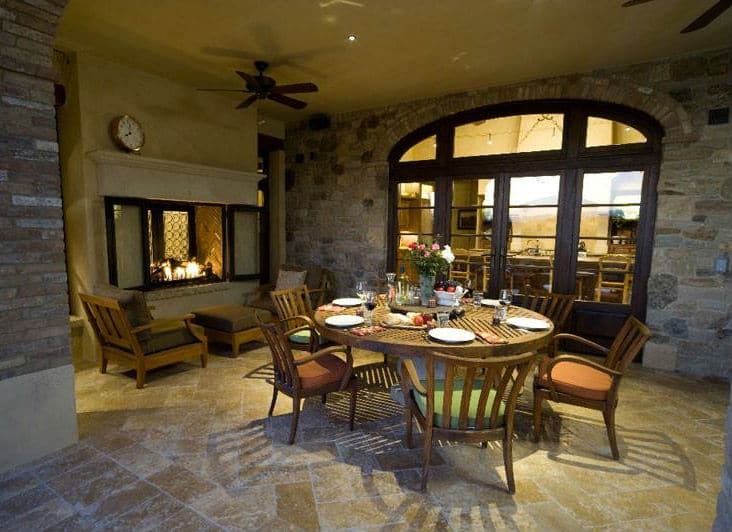 An illuminated early evening pool side view of this custom Mediterranean style home.